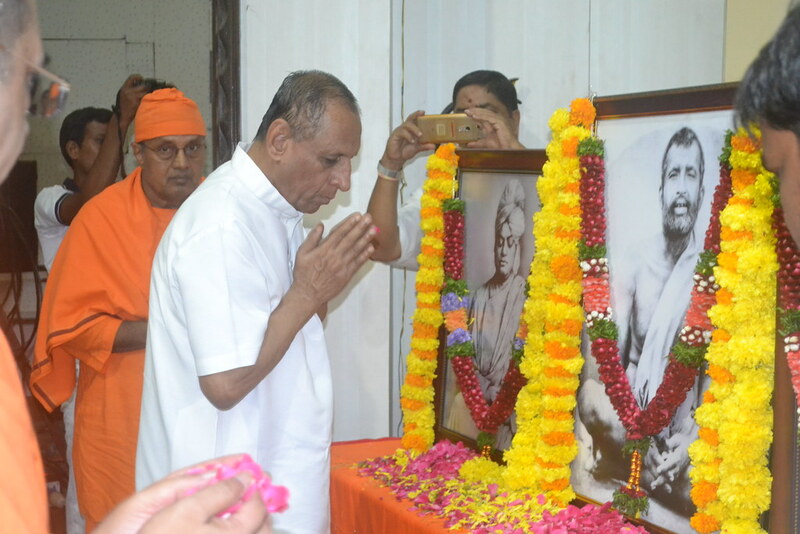 To commemorate the 125th Anniversary of Swami Vivekananda’s Chicago Addresses, Ramakrishna Math, Hyderabad conducted two day programmes. 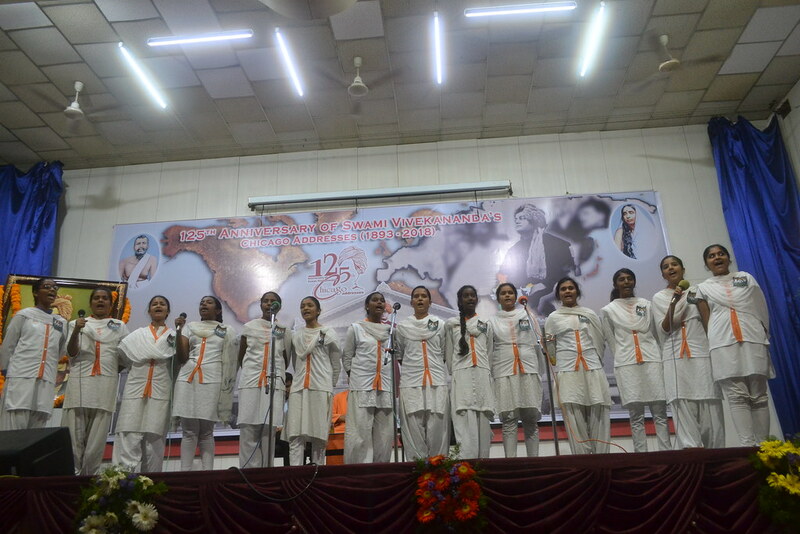 On 11 September 2018, the Math, celebrated the day as “Sampriti Divas”. 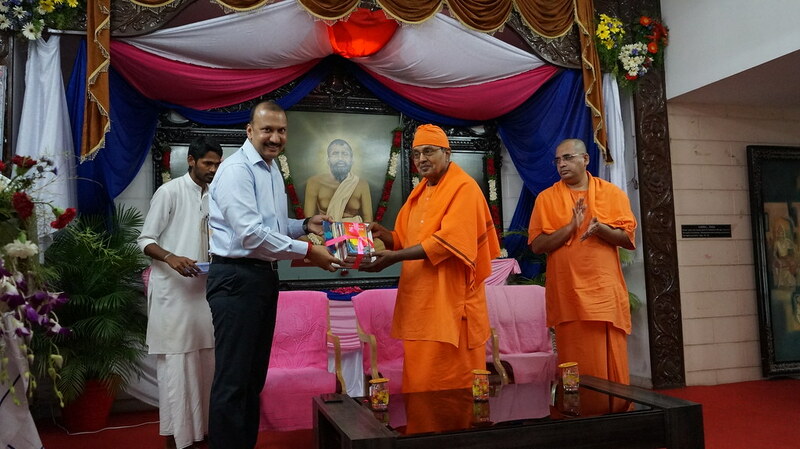 Shri E.S.L. 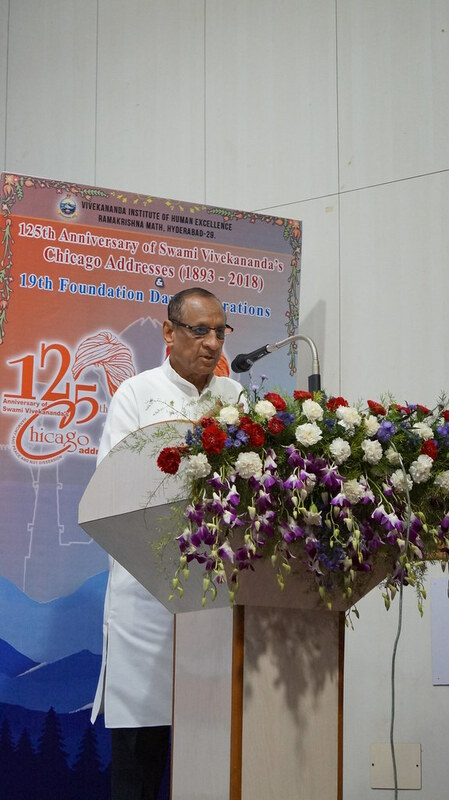 Narasimhan, Governor of Telangana & Andhra Pradesh was the Chief Guest. 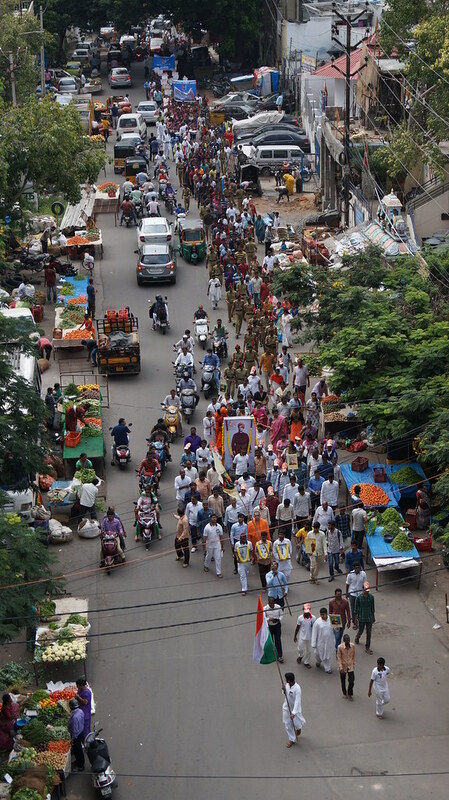 He inaugurated the one year long celebration in Telangana. Guest lectures, cultural programs were organised. 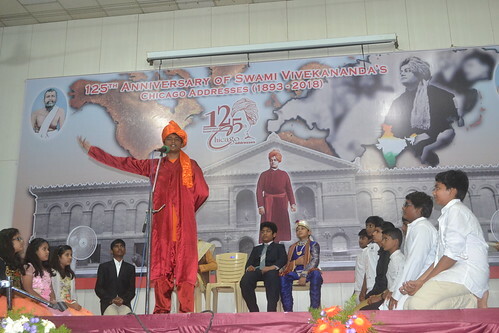 About 1800 students and devotees participated in the convention. 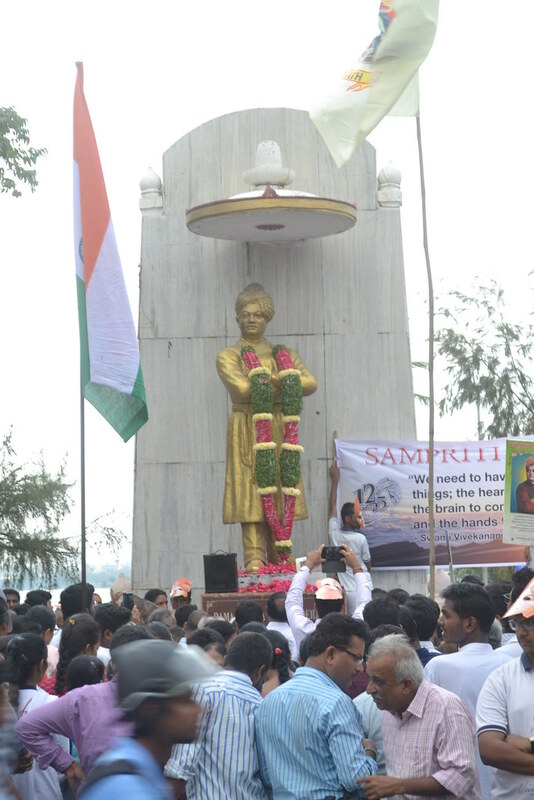 At 3:30 pm, a colorful Universal Brotherhood day rally from Vivekananda statue on Tank bund to our Math was organised. 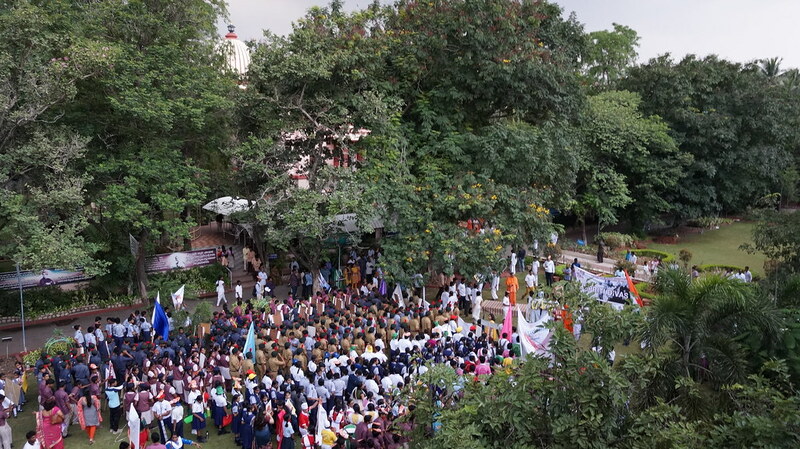 Nearly 1500 volunteers and students participated. On 12 September 2018 , the Math organised a one day Teachers’ Convention. 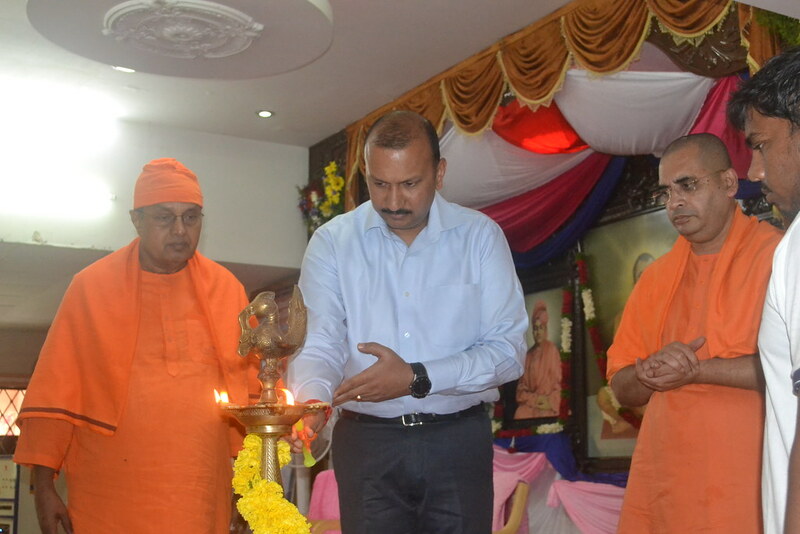 Sri Navin Mittal, IAS, Commissioner of Collegiate Education, Government of Telangana was the Chief Guest. 700 teachers participated in the Convention. 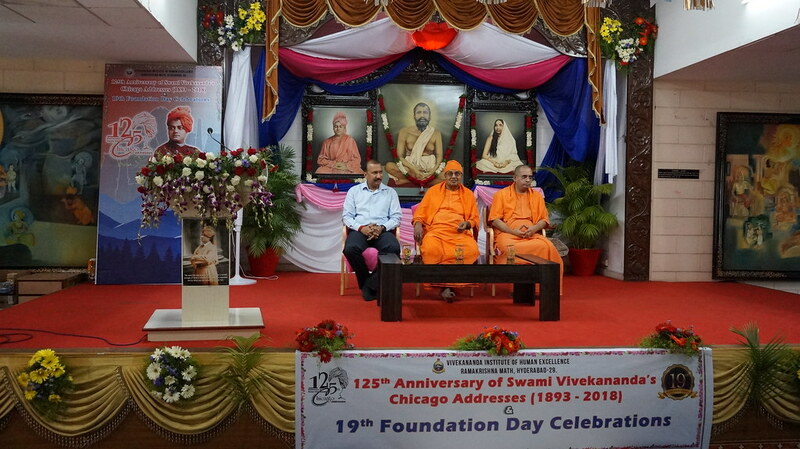 Recitation, cultural programs and discussion on Swami Vivekananda’s teachings were held.